Over the years, I’ve had lots of successes and failures with indoor seed starting. 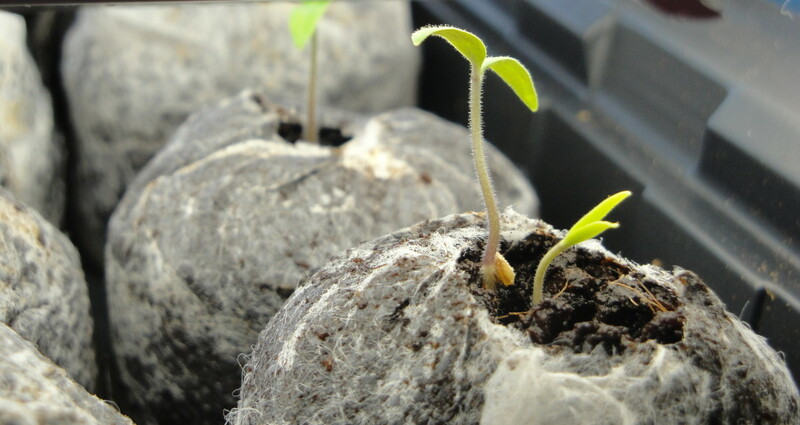 While seed-starting time is in February or March in many parts of the country, early April is actually a really good time to start seeds indoors in Minnesota, especially if you are planning to grow warm season crops such as tomatoes. So, here are my top six tips for starting seeds indoors successfully. No. 1 — Put them where you will see them. 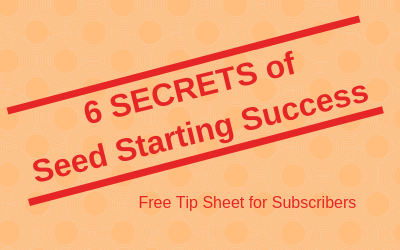 Many gardeners have to put their seed-starting set up in the basement. They end up forgetting to check them and before you know it, the seeds are dried up or overgrown. Put them in a prominent place so you are inclined to coddle them. No. 2 — Let the breezes blow. Outdoors, your little seedlings will experience wind (where I live, it’s gale-force a lot of the time), so get them used to it with a fan set up near your seed starting area. Keep the fan on low to get the seedlings used to wind. This will also help reduce fungal diseases. Tomato seeds planted and labeled. No. 3 — Label, label, label. You think you will not forget which of the six varieties of tomato seeds you started are in which pots — but you will. My latest trick is to use a label maker to create labels on the seed starting trays. This is much neater than writing it out on a popsicle stick and less likely to fall off or get washed away. 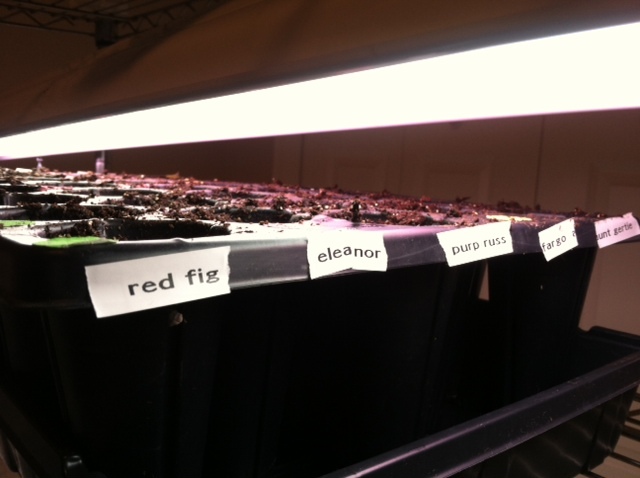 When the plants move to the hardening off stage, the label maker will be employed again. No. 4 — Water gently and sparingly. More seedlings have been killed by drowning than by drying out. Water regularly, not too much, and if at all possible, from the bottom. My current set up includes really great trays I got when I ordered prairie plants from Prairie Moon Nursery. Each cell is 5 inches deep and the cell tray stands in another tray. I just pour the water into the lower tray and the plants drink it up from below. This encourages the roots to go deeper. When seed-starting season is over, I wash the trays thoroughly and give them a dip in a 10 percent bleach solution to kill any bacteria. No. 5 — Don’t spend too much. If you only are growing a few tomatoes, it may not be worth your time and money to start from seeds. Just buy a few plants at a local farmers’ market or a garden club plant sale. You don’t need a fancy grow system either — a basic shop light, a couple of flourescent bulbs and a way to suspend the shop light above your seed trays, trays of some kind and seed starting mix — that’s all you need. Do buy or make your own seed starting mix rather than using old potting soil or garden soil. No. 6 — Pot them up. Depending on the size of the cells you use to start your seeds, you may have to move them to larger pots as the plants get bigger. This is particularly true in my experience with those little pellets that expand when you add water. I’ve got some seedlings that were planted about two weeks ago that are going to need to go into a bigger pot very soon. Save small yogurt cups or the pots that purchased plants came in, add some potting soil and very gently move the seedlings into a bigger pot. Pot them up gradually. A tiny seedling might go to a 2-by-2-inch pot or a 3-by-3, even if it eventually will fill a large container. Amy at Get Busy Gardening has a good comparison of peat pellets vs. seed starting cell trays.